Royal Cookies Automatic gives “easy bake” a whole new meaning. 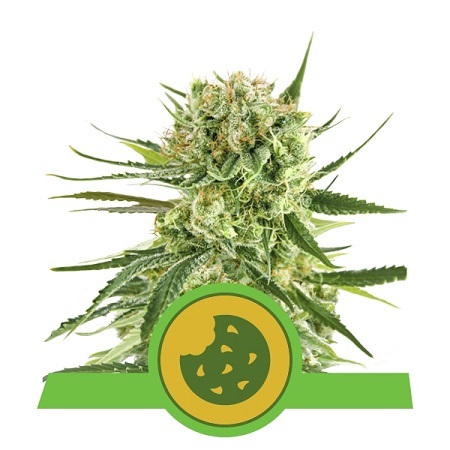 By combining the gourmet Royal Cookies with ruderalis genetics..
Royal Cookies Automatic Feminized Cannabis Seeds by Royal Queen Seeds: Royal Cookies Automatic gives “easy bake” a whole new meaning. By combining the gourmet Royal Cookies with ruderalis genetics, a unique new hybrid was created. Indoors, Royal Cookies Automatic will grow larger than the average auto strain. Heights of 60-120cm are common. These cookies are definitely not snack-size. Royal Cookies Automatic is a perfect fit for SOG growers. If you treat her right in the grow-op, heavy yields up to 450g/m² can be achieved in 8-10 weeks from seed.